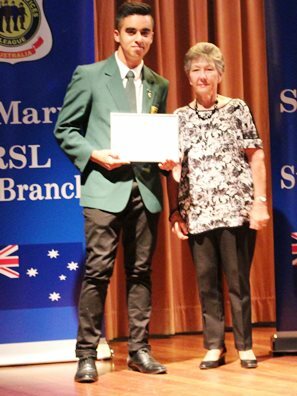 The Colin Shepherd OAM Memorial School Scholarship Program concluded its 16th year with a successful presentation of Certificates and Shields after a very satisfying buffet dinner at St Marys RSL Club on Thursday 15th November. Fifteen scholarships were announced (totalling $24,000 in funding) covering the five participating schools in our local area. 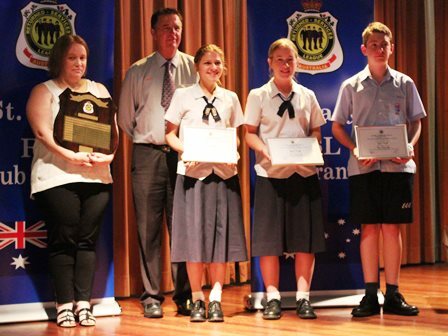 The sixth school, Gilgandra High School, will receive their three results at the school’s Presentation Day on 14th December. The students had to complete a project based on a military topic provided. Entries ranged from essay to slideshow to poem to artwork to song. We were greatly impressed with the creativity and research that students applied. Congratulations to the winning Year 10 students from Cambridge Park High, Colyton High, Emmaus College, Erskine Park High, Gilgandra High and St Clair High Schools. And thanks to those Patrons and supporters and sub-Branch members who came to witness the event. 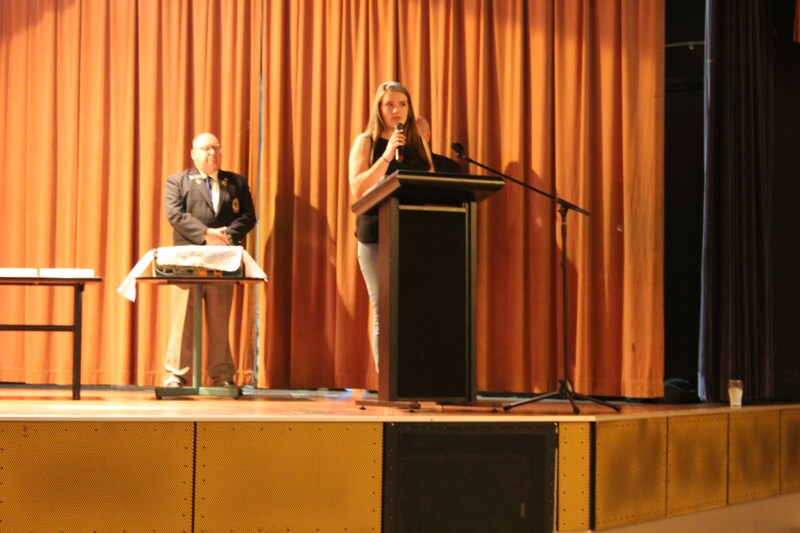 Anastasia Filler of Emmaus Catholic College delivered an encouraging tribute while briefly referring also to her engaging visit to the Western Front. Photos from the evening appear below. 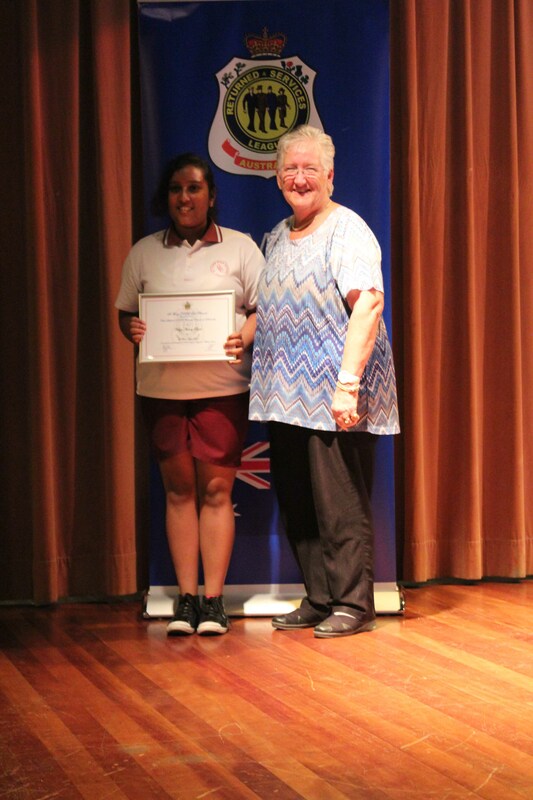 The Colin Shepherd OAM Memorial School Scholarship Program concluded its 15th year with a successful presentation of Certificates and Shields after a very satisfying buffet dinner at St Marys RSL Club on Thursday 16th November. 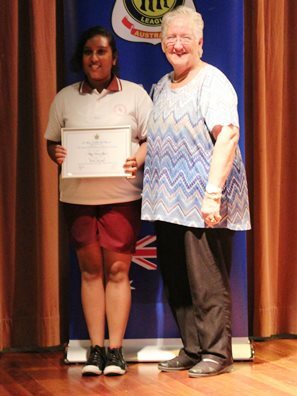 18 scholarships were announced (totalling $30,000 in funding). The students had to complete a project based on a military topic provided. Entries ranged from essay to slideshow to poem to artwork to monologue. We were greatly impressed with the creativity and research that students applied. 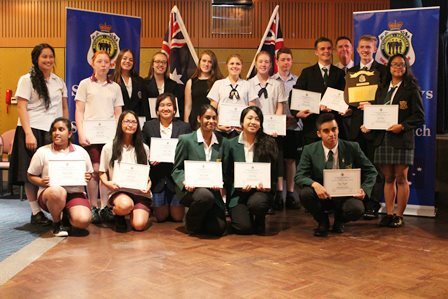 Congratulations to the 18 Year 10 students from Cambridge Park High, Colyton High, Emmaus College, Erskine Park High, Gilgandra High and St Clair High Schools. And thanks to those Patrons and supporters and sub-Branch members who came to witness the event. State Councillor Ray James and wife Pauline were special guests at the function. 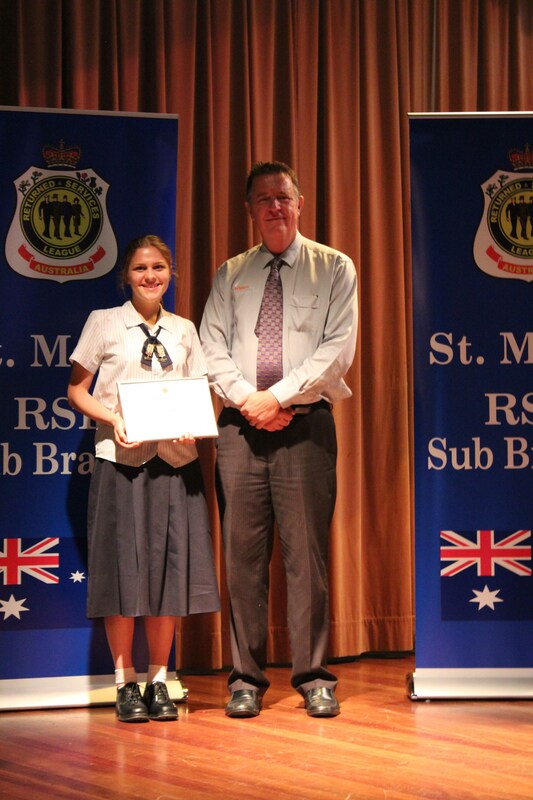 Tara R delivered an encouraging tribute while Rhys G presented a selection from his unique monologue entry. 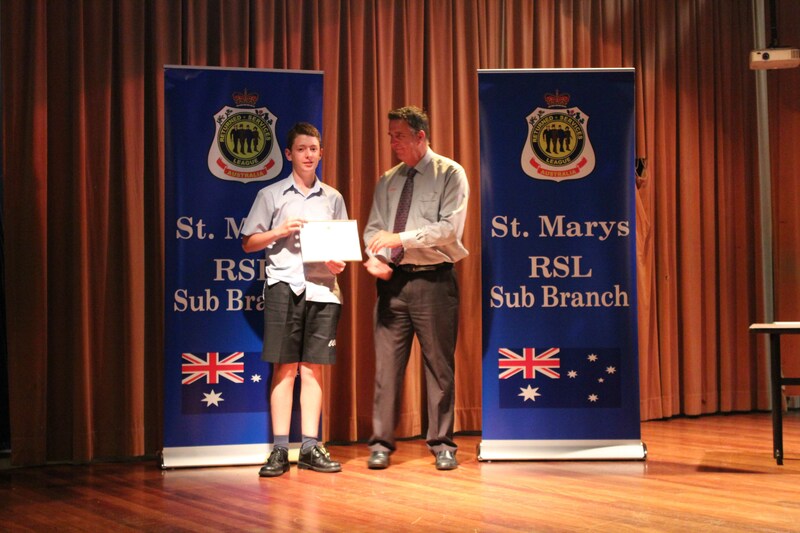 St Marys RSL Sub-Branch conducted its 2016 awards to students for the Colin Shepherd OAM Memorial School Scholarship Program on Thursday 17th November. 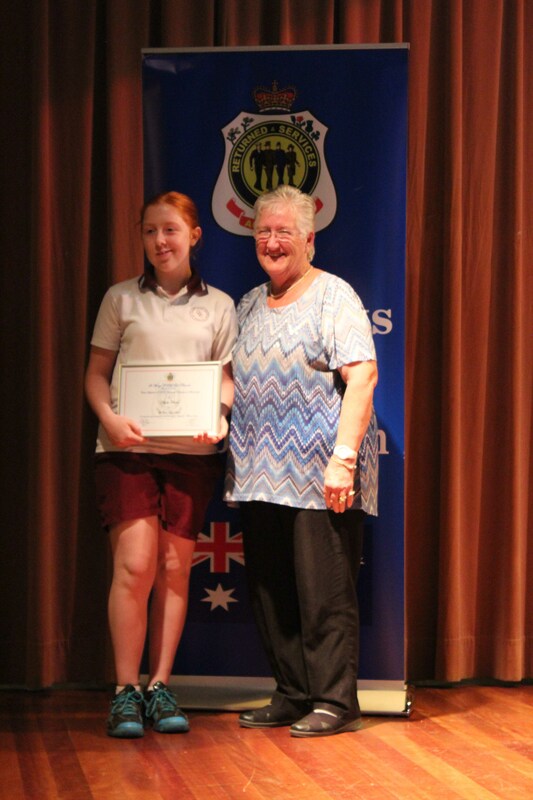 Fifteen students from five local schools, together with their family and teachers, enjoyed a pleasant meal followed by the official presentation of certificates, and of the shields to the school Principals. 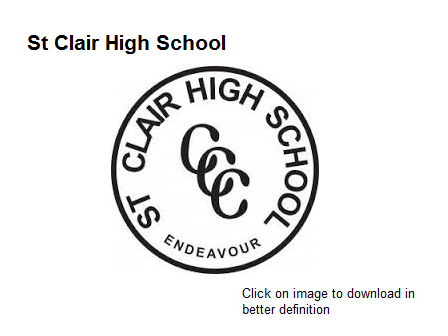 The year 10 students were from St Clair High School, Erskine Park High School, Emmaus Catholic College, Colyton High School and Cambridge Park High School. 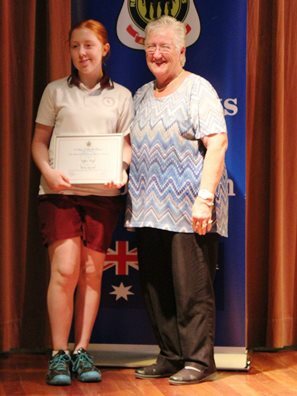 Students from our 6th school, Gilgandra High School, will receive their certificates during that school's Presentation Day in December. 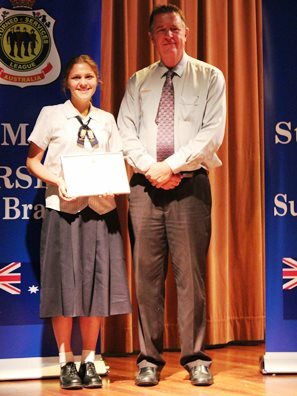 Congratulations to all students who entered the Program and, in particular, to the winners. May they used the funds wisely to assist them in their education efforts in Years 11 and 12. We are interested to follow their progress. 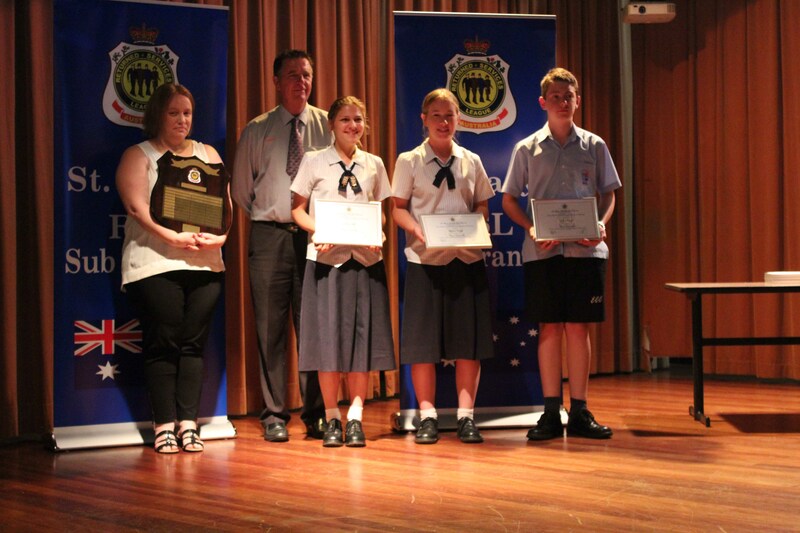 Thank you to our many Sub-Branch members who came along to support the students, and to our special presenters - John Haines AM, President RSL NSW; Emma Husar MP, Member for Lindsay; Judy Shepherd, widow of Colin Shepherd an instigator of the Program 14 years ago; and Patrons Tanya Davies MP, State member for Mulgoa and Jackie Greenow OAM. 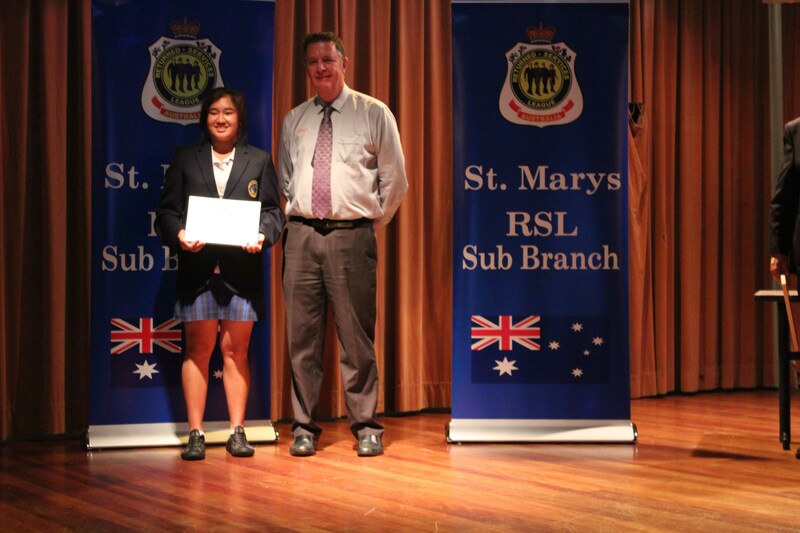 On Thursday evening 19th November, the St Marys RSL Sub-Branch conducted the annual Presentation Night for awarding the scholarships to Year 10 students who competed in this year’s activity. 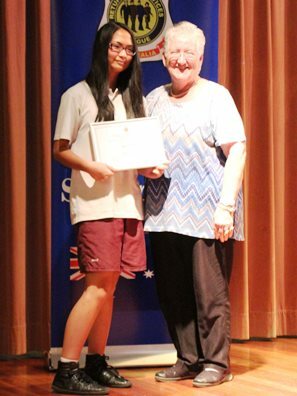 The Scholarship Program has been conducted annually for 13 years now and we are pleased that it continues to attract student competitive attention, thanks to the keen work of the interested teachers at each school. 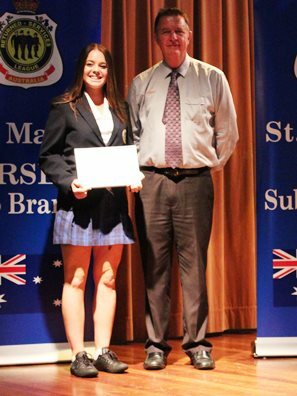 The eighteen scholarships on offer (for a total of $30,000) attracted students across the six schools, these being Cambridge Park High School, Colyton High School Trade School, Emmaus Catholic College, Erskine Park High School, Gilgandra High School and St Clair High School. Scholarship monies are held by the student’s school admin and monies spent under their control for educational purposes only. 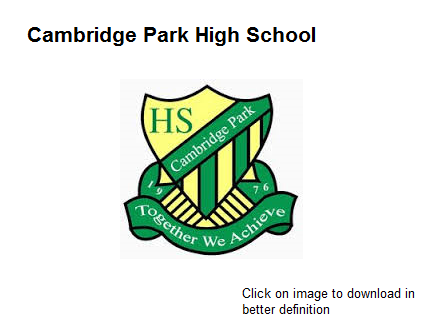 Students must complete a piece of work on a topic selected from a broad range on offer. The work can be artistic, written or electronic. 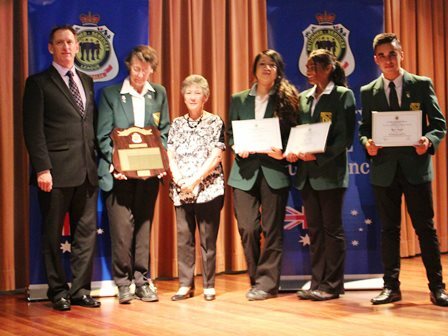 Sub-Branch President, Ron Kelly, thanked Patrons Clr Jackie Greenow and Clr Greg Davies, and Judy Shepherd for presenting the certificates to the winning students and shields to the school representatives. 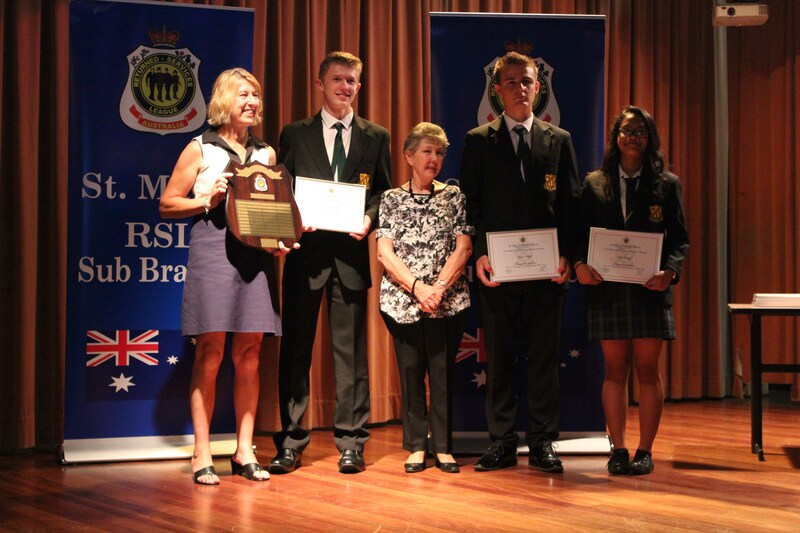 Each shield displays the winners’ names from each year and is hung in the school reception area (or similar) where visitors to the school can view the winners and understand the support that our Sub-Branch provides to the students. 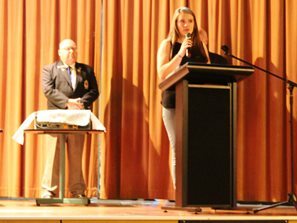 The Presentation evening attracted a crowd of 100; Ted Fish’s comparing of the event was superb as usual, commencing with a very nice buffet dinner followed by tribute talks from recent winners, Rachelle Knowles from Gilgandra High School and Rochelle Christensen from Emmaus catholic College. 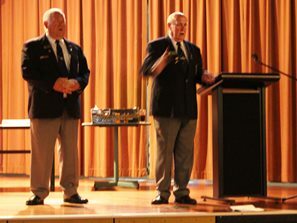 The St Marys RSL Sub-Branch’s ANZAC Centenary Committee kicked off in October and has already progressed the planning for a broad range of activities or events that will be prominent throughout 2015 and particularly during our 2015 ANZAC Commemorative Services. Please mark your 2015 calendar/diary for the ANZAC Sunday Service in Victoria Park on the afternoon of Sunday 19th April, as well as the special Dawn Service at its usual time and location. One such activity which will come to a head on 19th April is a project that remembers 162 volunteers who went from St Marys to join the conflict in World War 1. 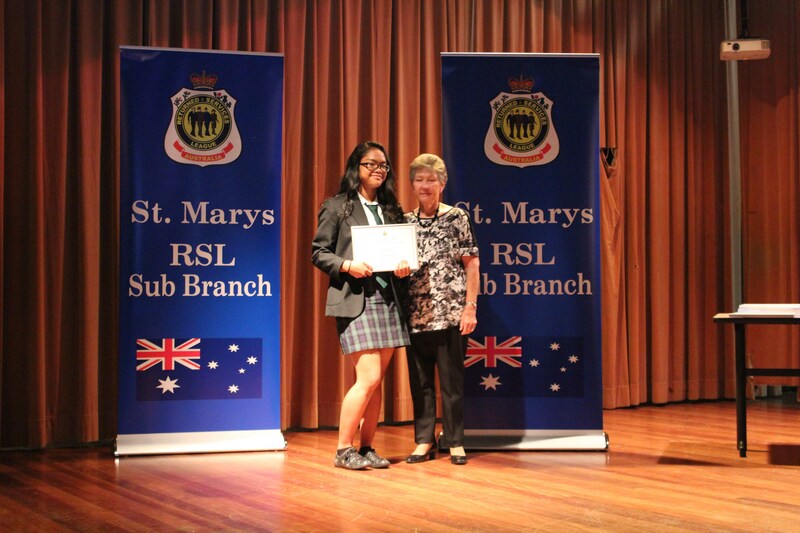 We have named the project “St Marys Served Australia in WW1”. 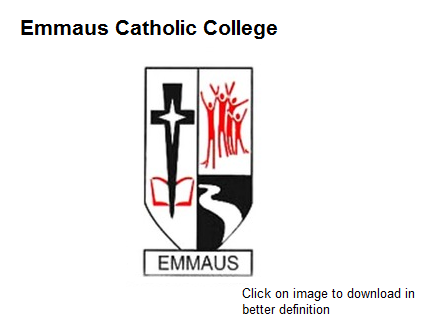 All of the 11 High Schools and 21 Primary Schools if the St Marys area (i.e. 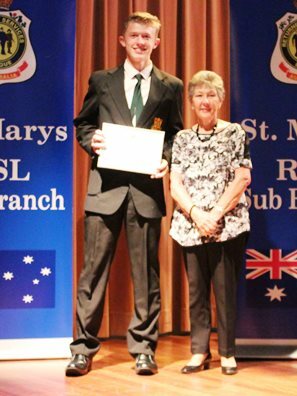 the old St Marys Council District) have enthusiastically taken up the project which will see a compendium dedicated to the memory of these young men and women who put their daily lives aside to contribute to the fight for our nation’s freedom 100 years ago. The Sub-Branch is excited that all schools have taken up the gauntlet and we are looking forward to see the results of their efforts next year. 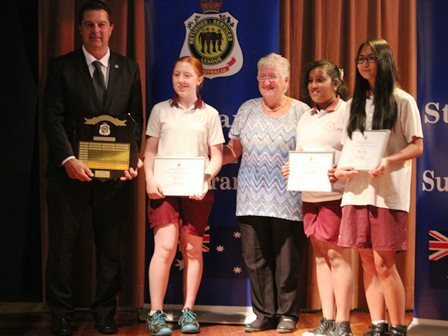 It is hoped that many students at those schools will, as a result of their involvement in the project, gain a higher awareness of this important element of Australia’s rich local military history. A further aspect to the school’s project will see all 162 Veterans given special honour for remembrance at the Sunday Service. We anticipate that many of the schools will take up our offer to participate in our annual ANZAC Sunday march along Queen Street to Victoria Park, where the Commemorative Service will occur. 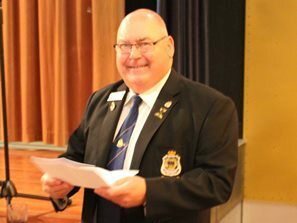 In addition to the school project, a band of Sub-Branch members (and ‘guests’) are busy preparing for other related activities … more information about those at a later time (however keep Friday evening 19th June 2015 marked in your diary for a likely ANZAC Centenary Concert). 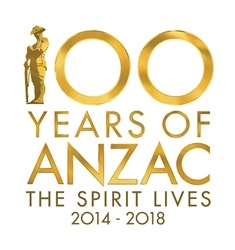 If you would like to be involved in preparing or organising events for our local commemoration of the Centenary, please call Tony Fryer (Secretary) on 0414 557 692. 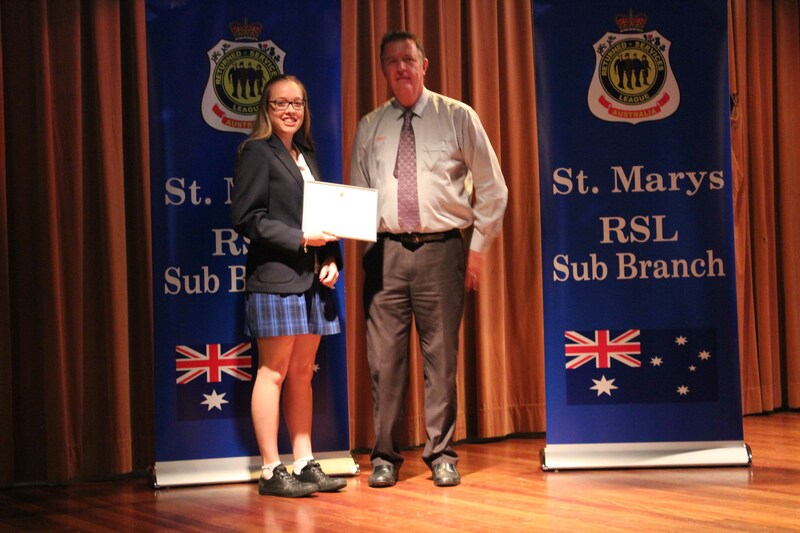 On Thursday evening 21st November, the St Marys RSL Sub-Branch conducted the annual Presentation Night for awarding the scholarships to Year 10 students who competed in this year’s activity. 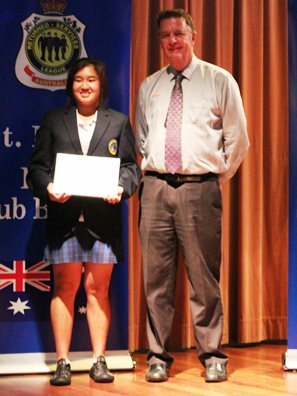 The Scholarship Program has been conducted annually for 12 years now and seems to be gaining increasing interest from eligible students each year. 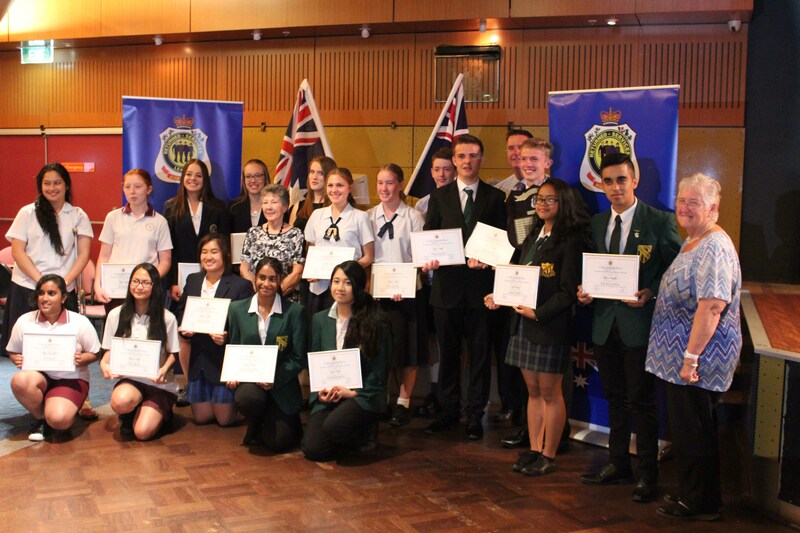 The eighteen scholarships on offer (for a total of $30,000) attracted in the order of 100 entries across the six schools, these being Cambridge Park High, Colyton High Trade, Emmaus College, Erskine Park High, Gilgandra High and St Clair High. Scholarships are held by the student’s school and monies spent under their control for educational purposes only. Discuss with your parents/family to identify a family member (e.g. Grandfather or Great Grandfather) who fought in the First World War (1914-1918) then research that person’s life. Author a poem or design a visual display that best reflects your thoughts/feelings about those in the Australian Defence Force who gave their lives so that all current and future Australians can live in the freedom, peace and harmony that we enjoy in this Nation today. Assume we are in Australia during the early days of the First World War. Our ‘Mother’ Country, Great Britain is asking for women to help in the war effort. Your task, on behalf of the Australian Government, is to create a poster that will motivate young women to volunteer, not only to help the ‘Mother’ Country, but also to undertake all the other tasks that women suddenly found were needed because the men-folk were going overseas as soldiers. Australian Nurses played an important part in the First World War (1914-1918) in caring for the wounded and supporting them back to health. Select and research one Australian Nurse from that period. Almost half a million Australians volunteered to join up during the First World War. Many heroic acts were performed by a great number of these. Select one such Australian hero from that period. During WW1 there were many great battles in France, Belgium and the Middle East. Select a region and focus on one Battle and in your own words, describe the importance of this Battle to the Australians, regardless of the outcome. 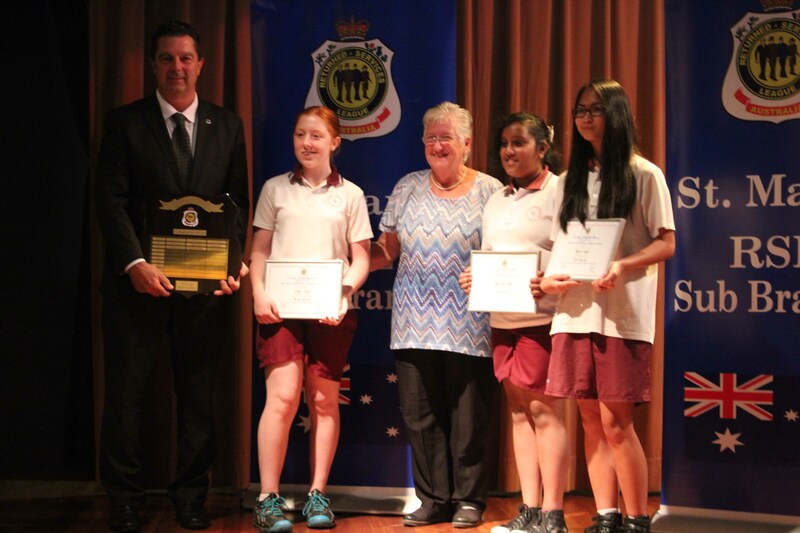 Sub-Branch President, Ron Kelly, thanked Patron Tanya Davies MP and Judy Shepherd for presenting the certificates to the winning students and shields to the school Principals. 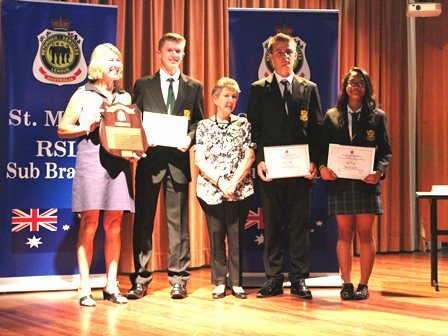 Each shield displays the winners’ names from each year and is hung in the school reception area (or similar) where visitors to the school can view the winners and understand the support that our Sub-Branch provides to the students. The Presentation evening attracted a crowd of 100; Ted Fish compared proceedings efficiently, commencing with a very nice buffet dinner followed by a tribute talk from a recent winner, Corey Davis from Colyton High Trade School and a brief audio visual tribute to past winners from that school to illustrate where each past student now was and the achievements they have made. 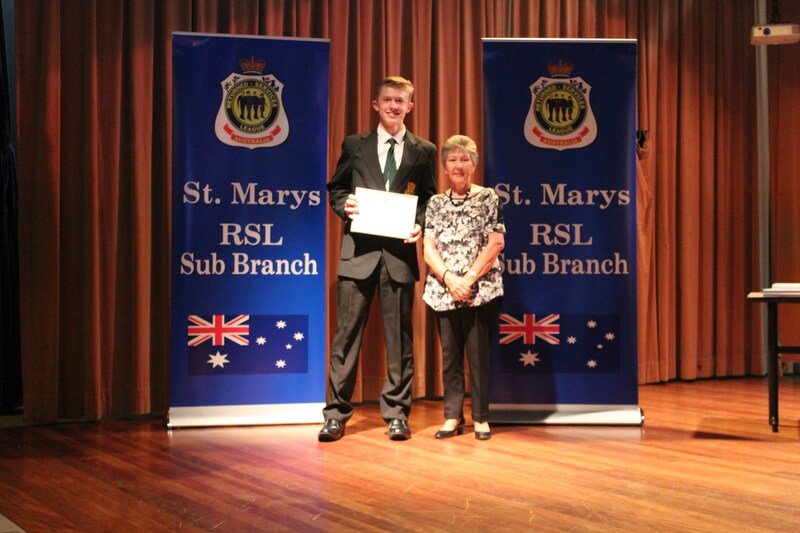 On Thursday evening, 21 November 2013, we conducted the 11th Annual Award Presentations for the St Marys RSL Sub-Branch’s Colin Shepherd OAM Memorial School Scholarships. 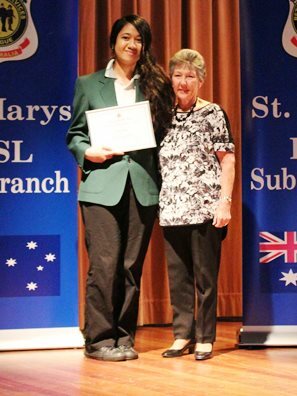 The awards were held in the auditorium of the St Marys RSL Club. Students, families and school staff numbered 92 in attendance. 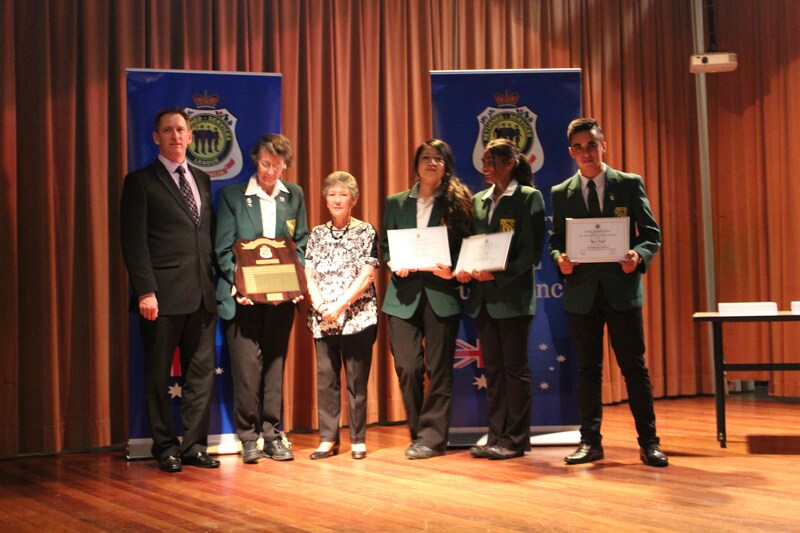 We were particularly pleased to see those who made the huge mid-week effort to be there from Gilgandra. 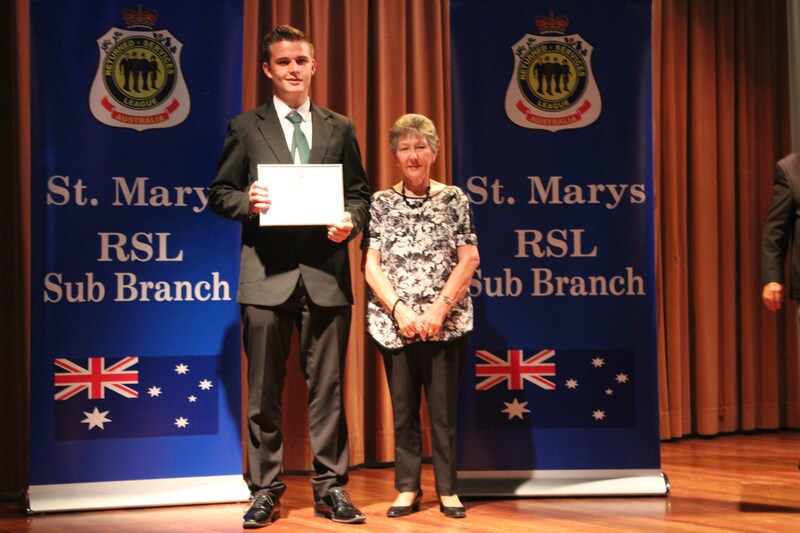 Several RSL Sub-Branch members and Executive were assisted by our three Presenters, Cr Greg Davies (a very supportive Patron of the Sub-Branch), Mrs Judy Shepherd (whose husband Col was an initiator in establishing the program) and Ms Robyn Collins (General Manager, RSL NSW Defence Care). 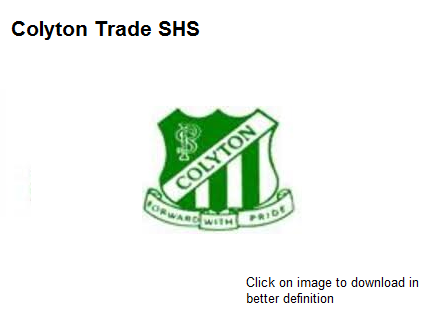 Robyn was very impressed with the deep relationships that our Sub-Branch continues to develop and maintain with the local school community and our outreach to Gilgandra. 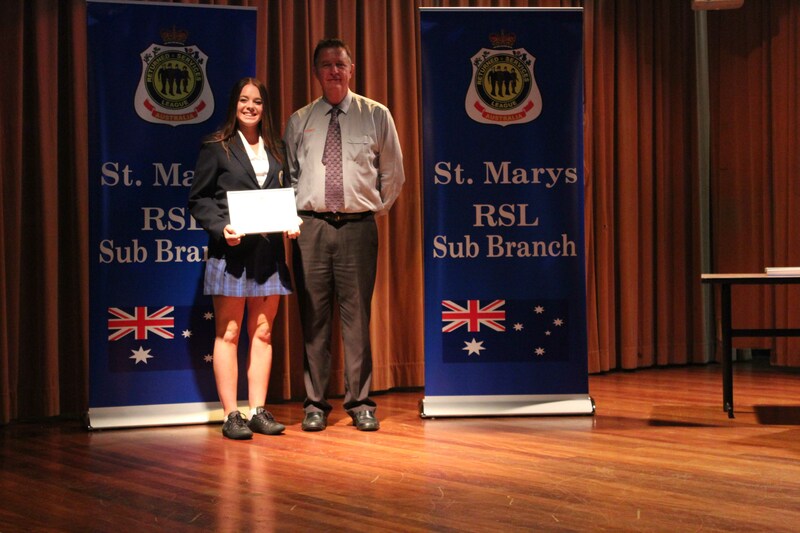 After an enjoyable buffet dinner, complements of the St Marys RSL Sub-Branch, Mr Ted Fish (Treasurer of the Sub-Branch and the evening’s MC) welcomed all to the function, introduced our guest presenters and invited Emily Lucas (past winner from Erskine Park HS) to speak about the value she found in being awarded the scholarship in 2011 - Emily spoke in glowing terms. 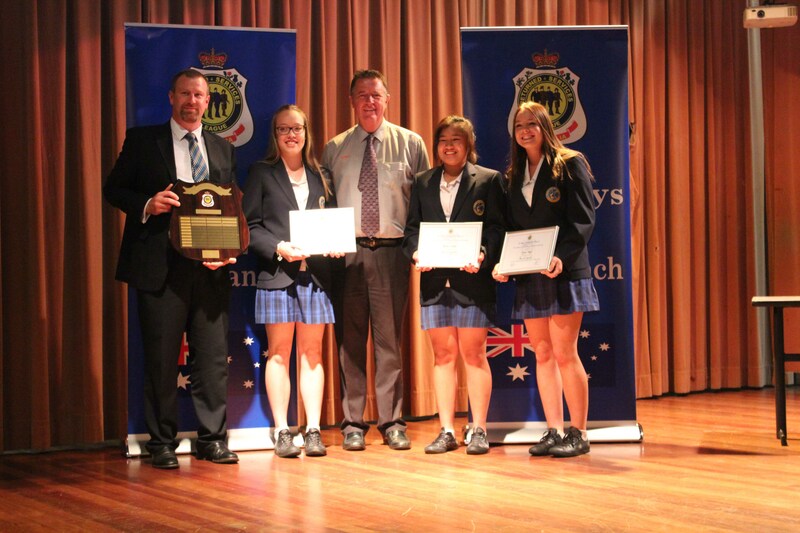 Two of the Sub-Branch judges (Ron Blakely and Tony Fryer), along with Vice President John Foeken, then assisted the Presenters to distribute the awards to the successful Year 10 students. Ted Fish advised that our Sub-Branch members continue to fully support this Scholarship Program. 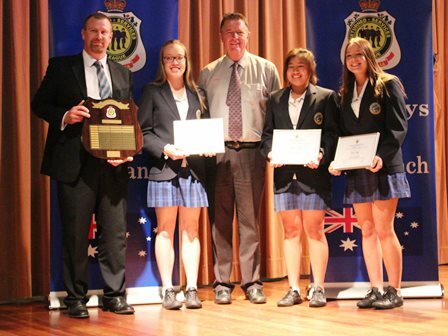 Tony Fryer took the opportunity to remind school staff of the currently available ANZAC Centenary Local Grants Program and suggested that a competition (or similar) be conducted within the school community, to design a suitable WW1 memorial and submit an appropriate grant application by early 2014. 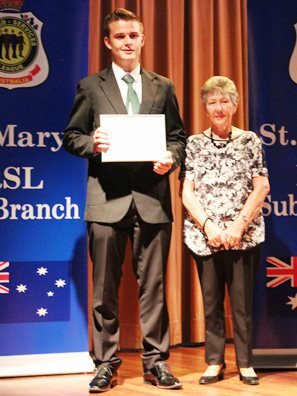 At completion of the awards, Cr Greg Davies briefly addressed the audience to congratulate the schools and RSL Sub-Branch on their close relationship. 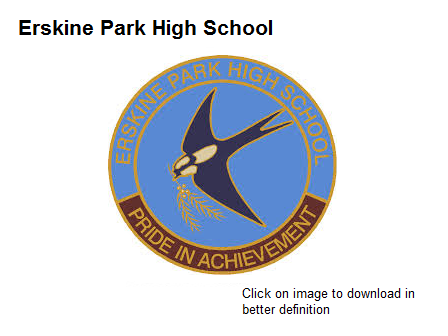 Please activate the button to your left to view 26 slides of the Awards Presentation. 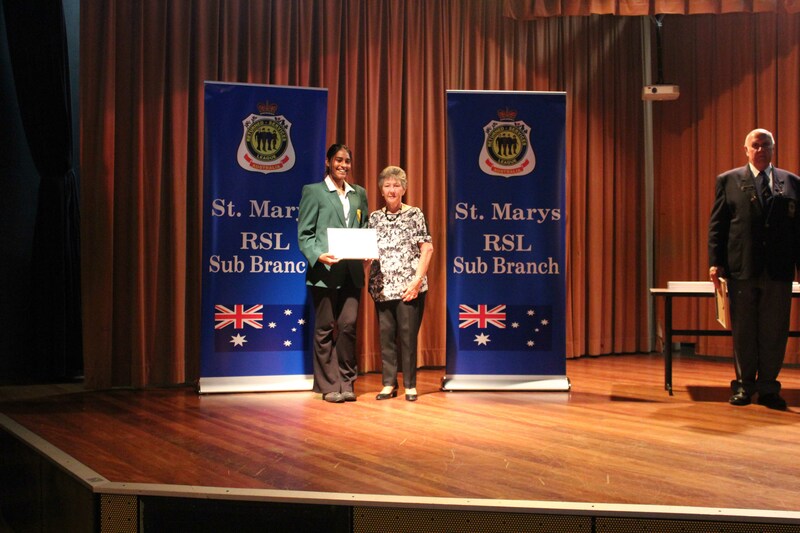 A crowd of 185 attended the evening and firstly, enjoyed a buffet dinner, complements of the St Marys RSL Sub-Branch. 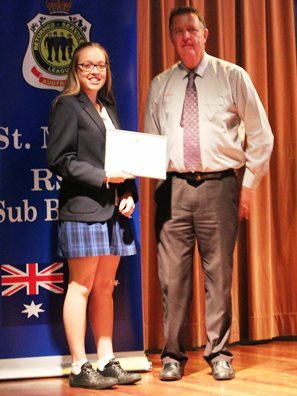 After our MC, Ted Fish welcomed all to the function, Sub-Branch President Ron Kelly complimented the winning students on their work. 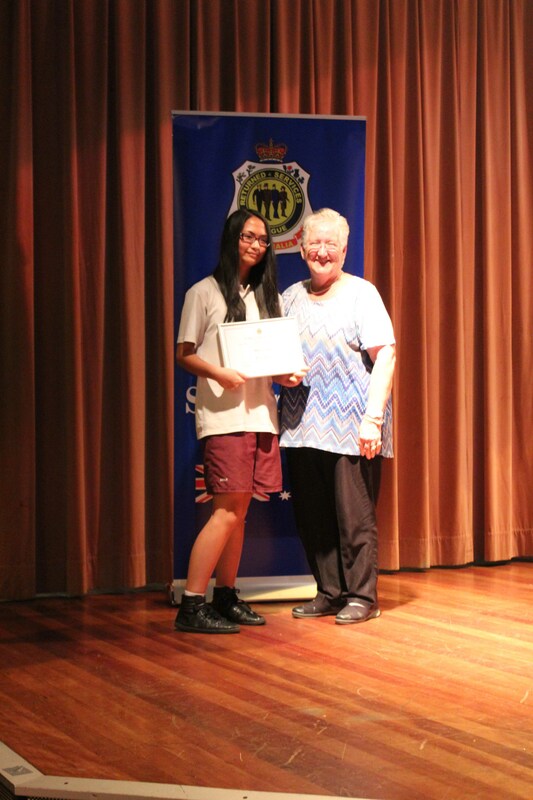 This was followed by the presentation of awards to the successful students. 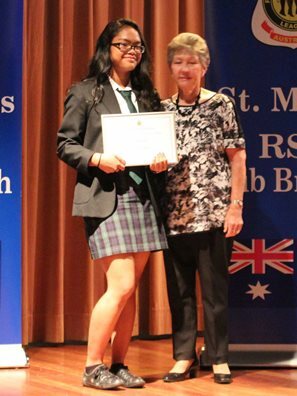 An invitation was then given to the many scholarship winners from past years to address the audience with a brief report on their ‘educational journey since Year 10’. It was very pleasing to see 20 past winners line up to share their own story … and the stories were extremely impressive and satisfying to hear. Congratulations to all of them. Following the impromptu deliveries, Tony Fryer reminded all of the benefits that have flowed from the early vision of Tom Paine and Colin Shepherd over 10 years ago, in developing and introducing this program; and of the quarter-million dollars that the last 10 years have seen delivered by way of these scholarships; and the significant commitment that our Sub-Branch has to the local community and its schools in particular. 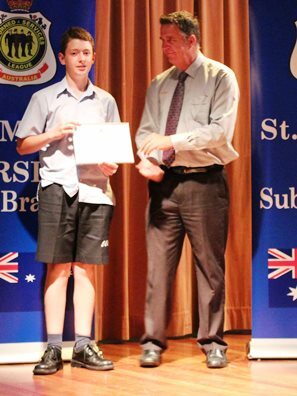 Tony gave a special thanks to the co-ordinator teachers at each of the participating schools. Without their efforts, the scholarship program could not be successful. 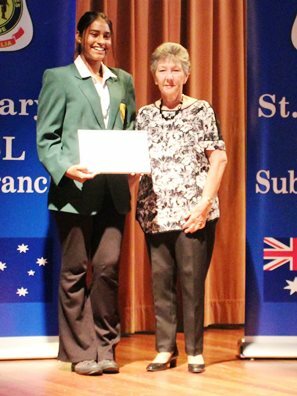 A special award was then announced and given to two teachers who have been program co-ordinators for their schools for the entire 10 years – Stevenie Harman (Colyton High School Trade School) and Kathy Hadley (Cambridge Park High School). 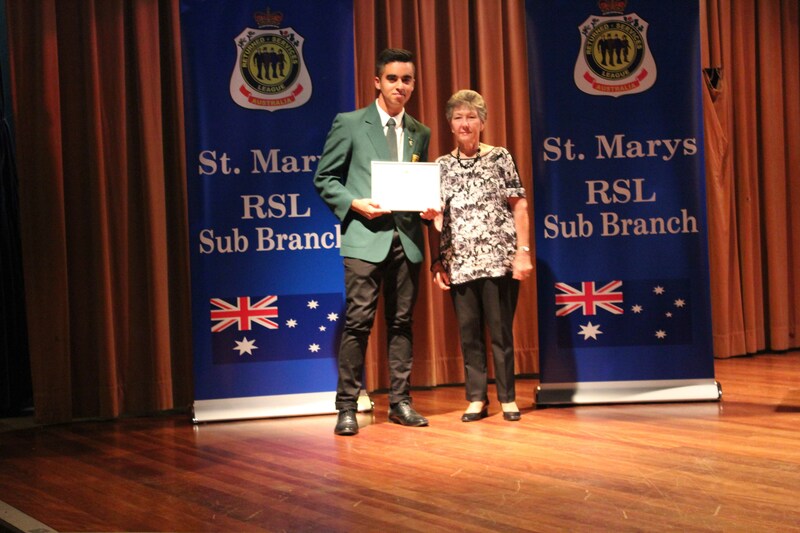 Should any award-winning student or school representative require an electronic copy of a particular photo from those displayed in the slide show below, please email the Secretary of the St Marys RSL Sub-Branch. CLICK HERE Note that images 640 x 480 can be downloaded from the slide show, use the pause button, then right click on the desired image. Please activate the button to your left to view 52 slides of the Awards Presentation. 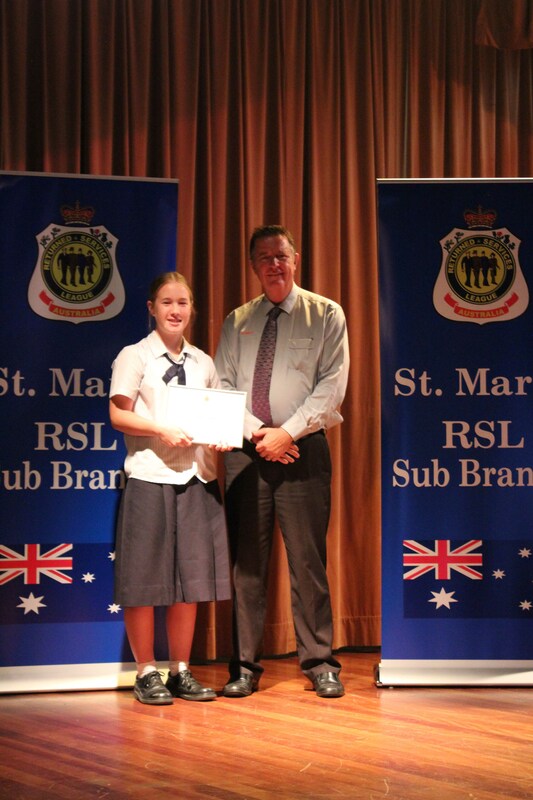 Once again, hundreds of Year 10 students in six high schools were offered the opportunity to compete for school scholarships in a program conducted by St Marys RSL sub-Branch. 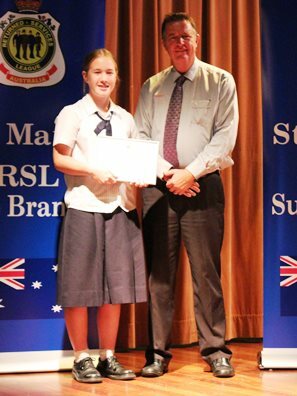 The scholarship program commenced in 2003 after much ground work by our past-President, Colin Shepherd. 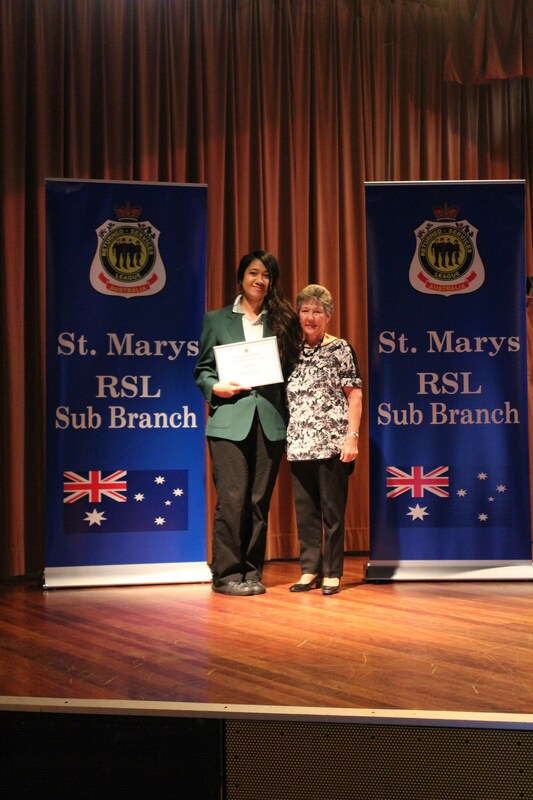 RSL sub-Branch members continue to show their generosity in maintaining their commitment to supporting young students with their studies, through the availability of the scholarships. The funds are provided to the student’s school to be held in trust and used to cover purchases of materials and/or equipment to assist them with their studies. 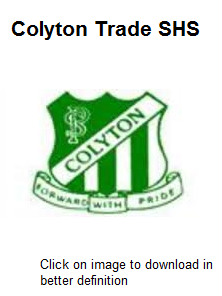 Judges from the sub-Branch in 2011 were Gary Fizzell, Ron Kelly and Tony Fryer. Explore the role and history of the Royal Australian Navy (RAN). Provide details of your understanding about the life of an Able Seaman (Gunnery) on board a RAN ship today, in an operation. Include your own thoughts and opinions about ‘life in Australia’s Navy’ – i.e. is this a life for you? What is the role of Australia’s Army Reserve (A-Res) forces? Explain the general commitment a person makes when joining & detail the types of jobs men and/or women can undertake at some of the Army Reserve units located in western Sydney. Would you join the A-Res, and why? Australia – a Republic? (The National Flag and National Anthem). A lobby group pushing to change Australia's flag predicts it will be successful within 5 to 10 years. AusFlag's campaign to remove the Union Jack is backed by several prominent Australians. AusFlag predicts Australians will soon vote to become a republic and are likely to want a new flag as well. Should Australia consider becoming a Republic? Discuss the pros and cons. If Australians chose at a Referendum to become a Republic, what would be your opinions regarding a change to the Anthem and Flag? Women in the Services. The role of women in the services have changed dramatically in the past few years in that they have moved away from the traditional role of yesteryear and, for example, now carry out some combat duties in the Army and fly combat missions in the RAAF. Explore the role of women in all Australian Military Services. Give your opinions on providing opportunities for women in all or only selected combat roles.